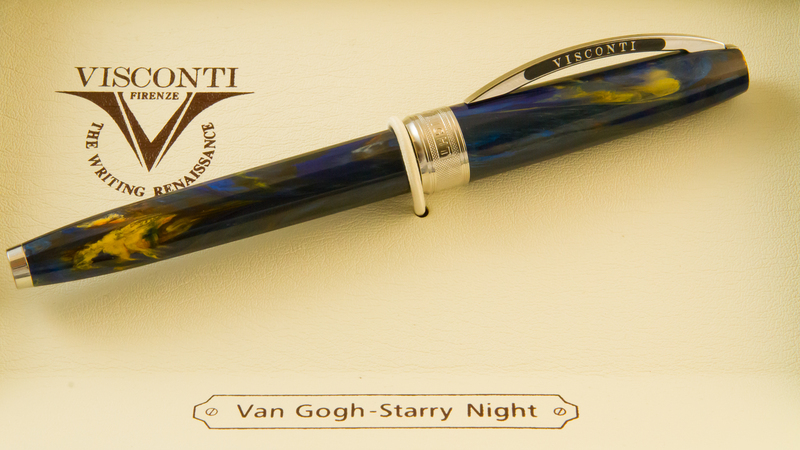 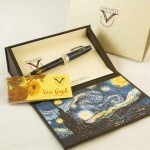 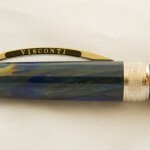 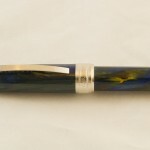 My final recent Visconti acquisition, the Van Gogh “Starry Night.” I decided to started this video review off with a bit of change to the intro music. 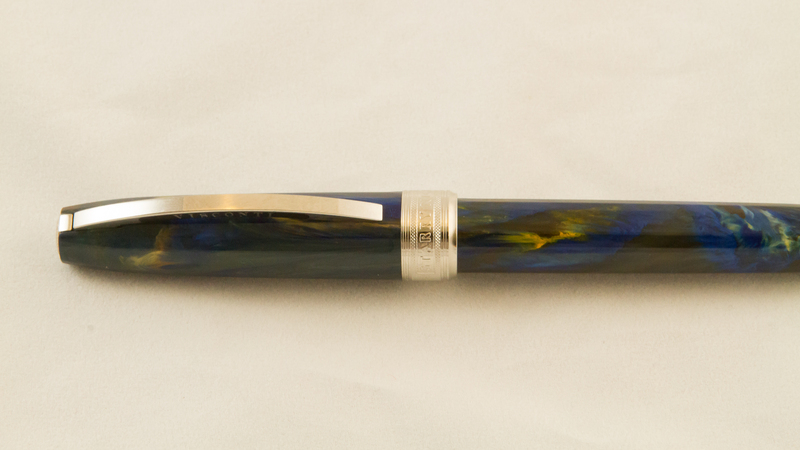 Also, I apologize in advance, it was hotter than hell on the day this video was recorded. 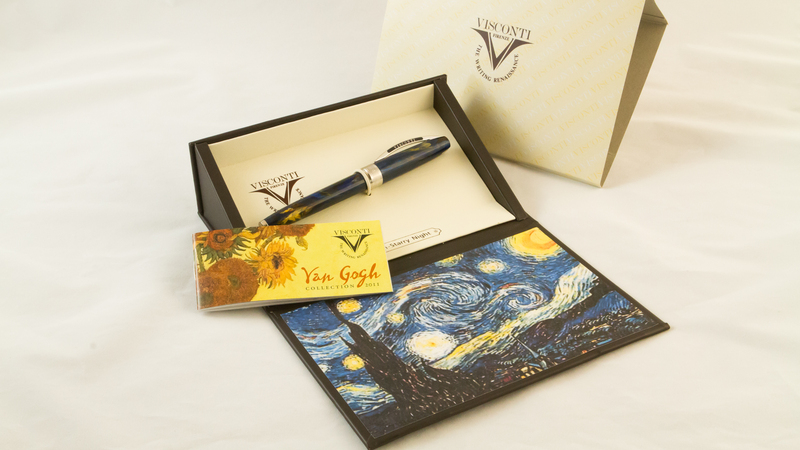 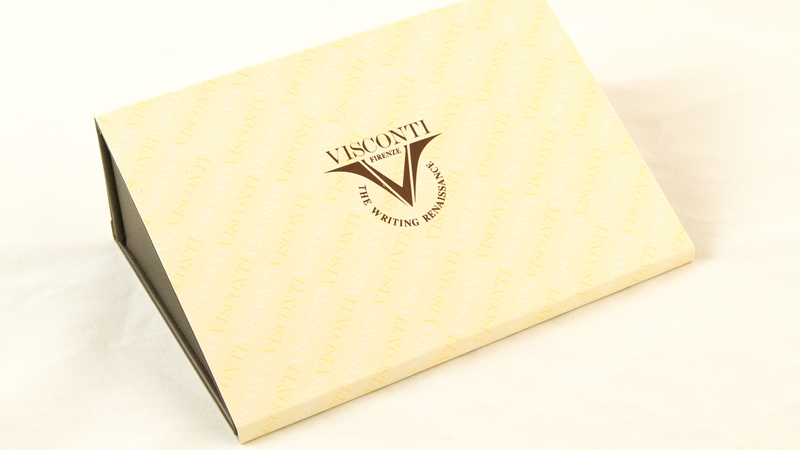 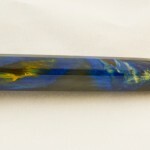 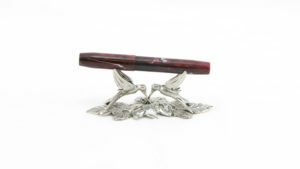 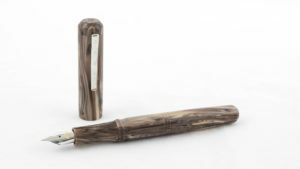 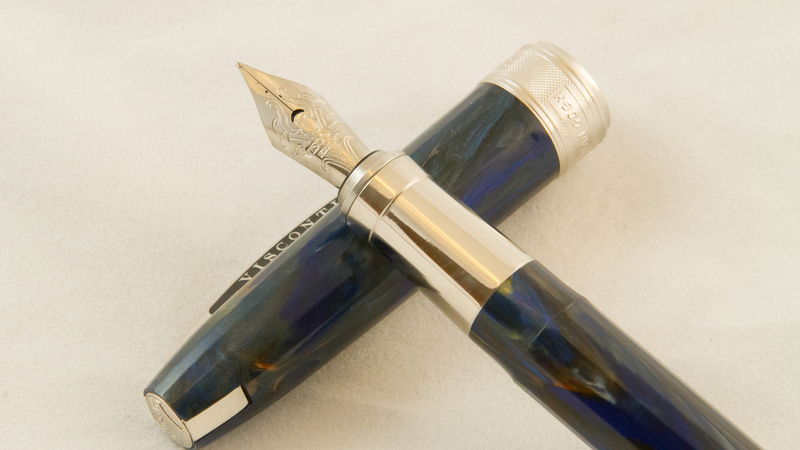 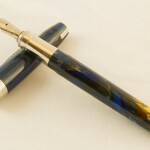 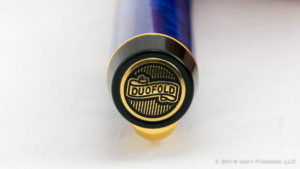 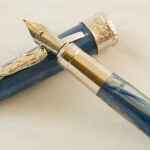 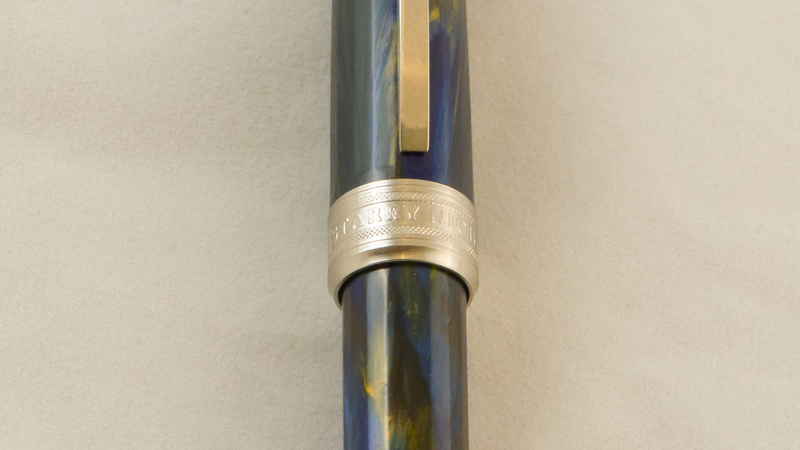 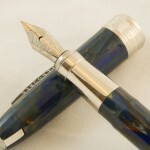 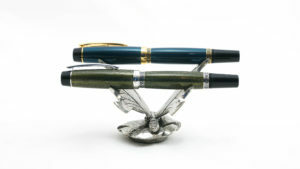 This is another great pen, very similar in design to the Dali (or rather, the Dali has a very similar design to the Van Gogh). 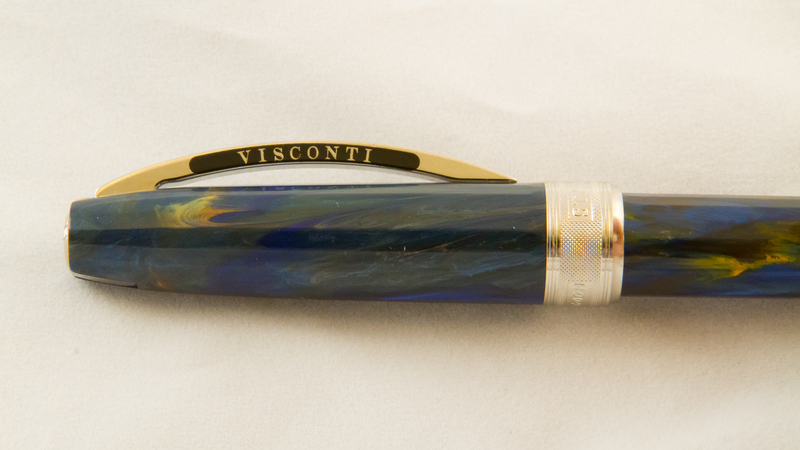 Excellent steel nib, gorgeous acrylic barrel. 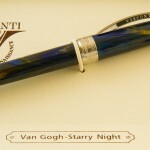 The center band with STARRY NIGHT on one side, and VAN GOGH on the other. 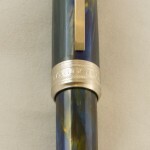 The pen has the standard bridge clip. 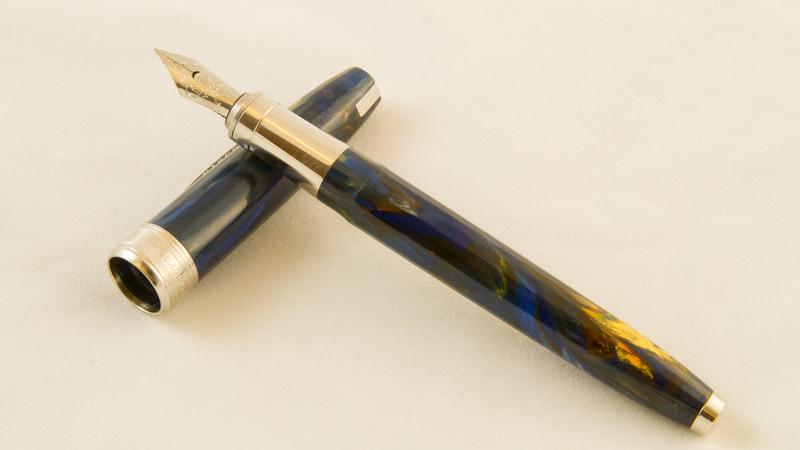 Stainless steel nib with a steel section. 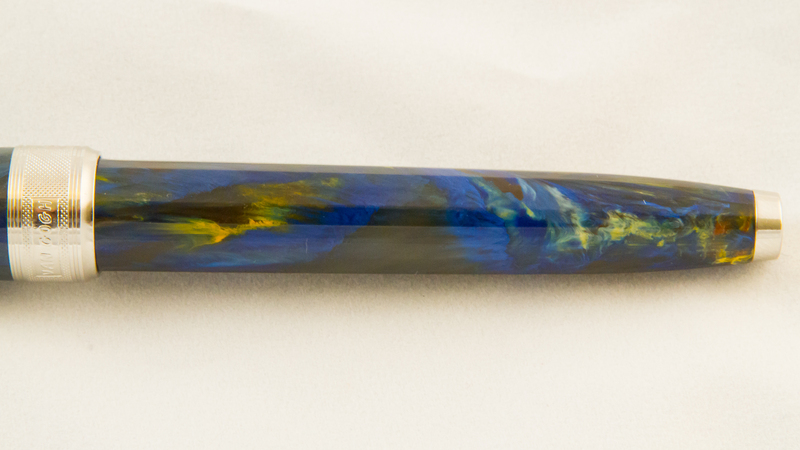 Smooth transition from the section to the barrel.